Now you too can smell like an R&B superstar. 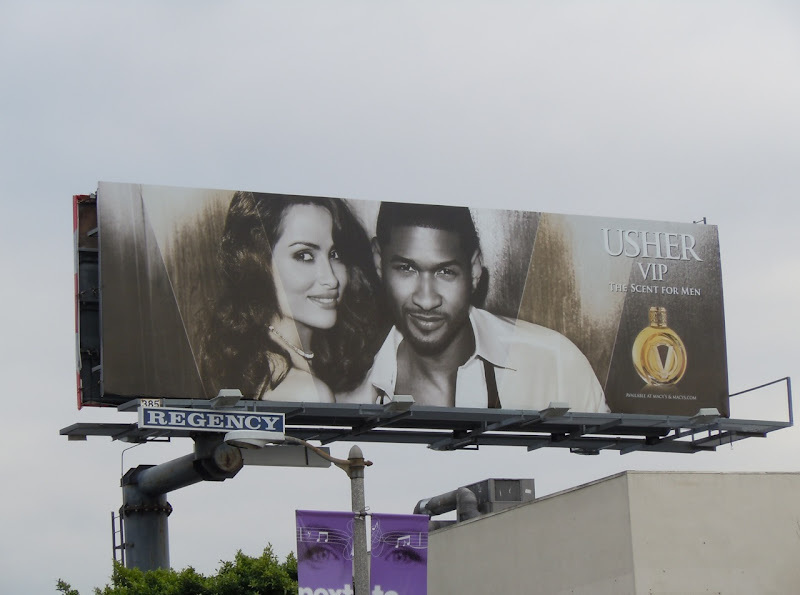 Usher looks suitably suave and sophisticated for this billboard for his new VIP fragrance for men. I have a feeling that sly smile and cheeky glint in his eye may have something to do with the gorgeous model, Gabriela Gonzalez, on his arm rather than any smell though. This stylish fragrance billboard was snapped along L.A.'s Beverly Boulevard on December 23, 2010.